I've been waiting for that fairy to arrive here! 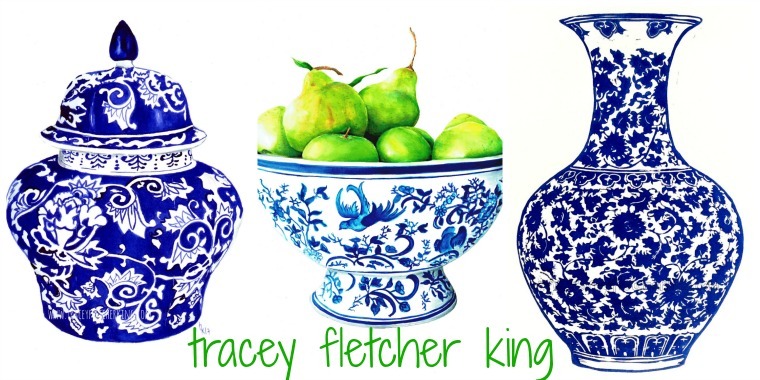 Love how you can paint everyday objects and make them look so good. you make EVERYTHING look beautiful! even cleaning bottles! 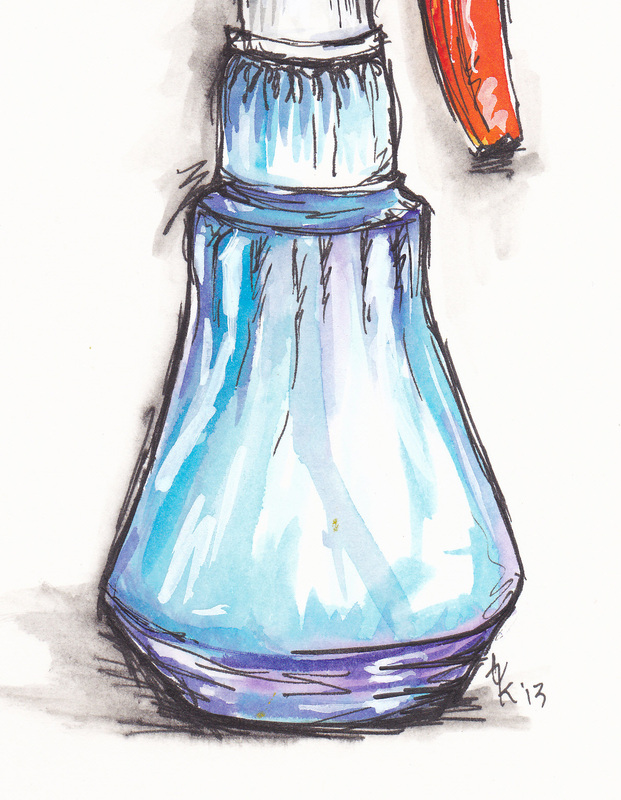 oh I love the blue in that bottle! only you could make that cleaning bottle look so charming!! Gosh, I didn't even know there were cleaning fairies. I wish they would come here!! Lovely sketch, Trace! I hear ya on those randy dust bunnies as we have also been updating our lounge-room with new furniture. Aaron has been worth his weight in gold working his fingers to the bone. My poor hands have been paining terribly with arthritis after assembling numerous flat packs...more on the way. That said, isn't it wonderful to have a new look?!!! I'm loving it!!! I pay a lady to come clean so I don't have procreating dust bunnies! Luckily where I live, home help is not too expensive and so I can get on and do what I need to do without the guilt of not keeping house...I feel for you. Good luck with the bunnies. Hehe! I pulled my bed out for the first time in ages a few weeks ago - and there was tumble weed - yes - TUMBLE WEED drifting all over the place under there! I was just glad that nobody was there to see it! 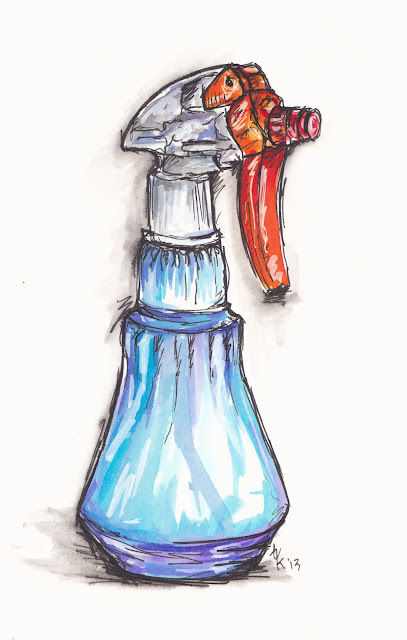 I shall miss your funny and cheering blogposts and look forward to your return when you have bullied that place into submission and filled a notebook with all those ideas, and a sketchbook full of lovely pics like the spray bottle. 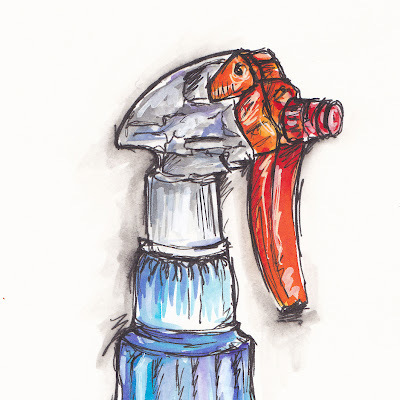 You can even make a spray bottle look desirable - well perhaps to another spray bottle with a pink nozzle it really is. 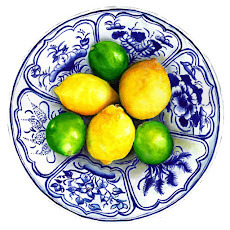 I shall sink back into the sofa revelling in the joy of moving to a smallish apartment after a large house, and the pleasure of having so little cleaning to do, even if it is from health necessity. Enjoy your cleaning vacation. Take your time.... those dust bunnies are happy to wait. ha, there must be something in the air worldwide with those pesky cleaning fairies as my house is also looking slightly neglected in favour of any number of other things I can procrastinate with instead! happy autumn cleaning and i'll look forward to seeing those ideas appear on paper some time soon! I'd much rather draw the cleaner bottle than actually clean! why can't the house magically clean itself? oh right...those pesky elves that didn't show up. none at my house either! enjoyed my visit--always love your paintings! I personally vote for painting the cleaning bottle over actually using it. Much better use of your time. Let us know how the de-cluttering of your brain goes. I for one would appreciate some suggestions. Very ambitious...hope the Autumn cleaning goes well. I am doing a bit of spring cleaning here but at this point I refuse to look under the furniture in my living room. Denial is a happy place. I love that you took time to paint the cleaning bottle. Only you could make a plain bottle look that fab. The only effective dust bunny birth control is the Hoover. And just parking it near them doesn't help at all...no matter how many times I have tried it, even trying to dress it up as a Dust Bunny Disco won't lure them inside. You have to turn it on and chase them under the blasted furniture. I love your cleaning bottle, in the close up, it looks like a streamlined, deco chicken head. 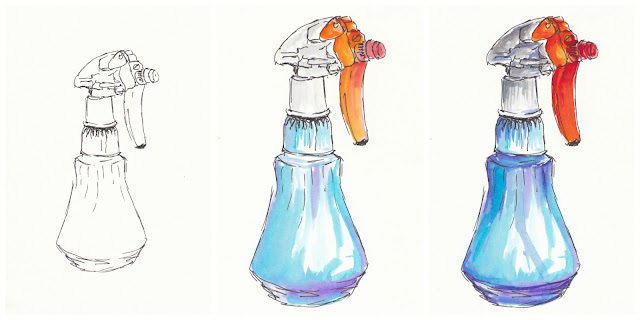 You do tackle the hardest subjects - and yes I'm talking about cleaning and drawing tricky spray bottles!! In Germany we call the cleaning fairies DIE HEINZELMAENNCHEN. (They look a little bit like a garden gnome). I will ask them to go on excursion to you. I think they will like your lovely spray bottle very much!